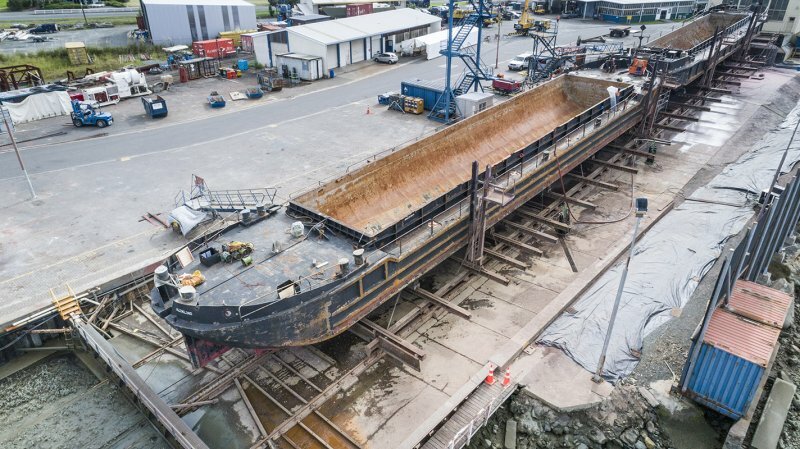 When one of New Zealand’s largest port companies, Ports of Auckland, recently needed minor structural repairs for two of the company’s much-used barges so they could have their annual survey completed, they sailed a short way up the coast to the safe waters of Whangarei Harbour where leading maritime engineering experts Ship Repair are based. 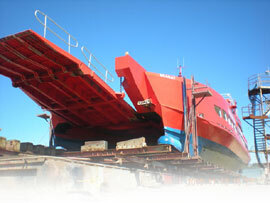 The H6 barge and her sister vessel H8 are 39m long hopper barges of 450 cubic metre capacity. 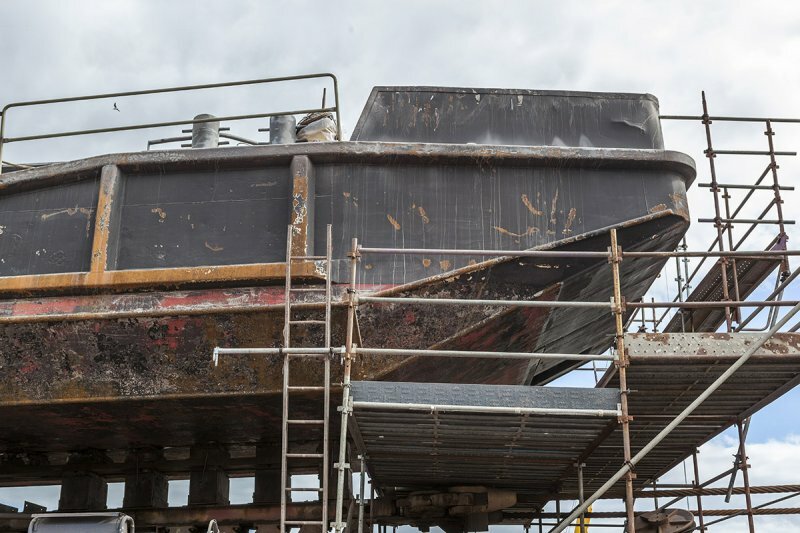 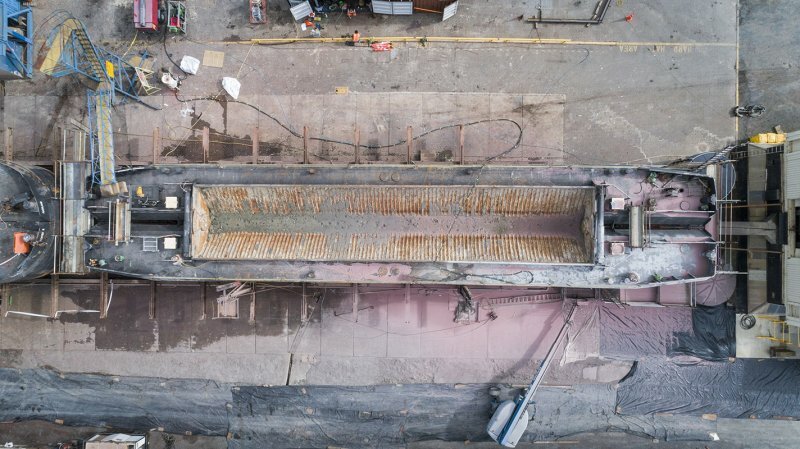 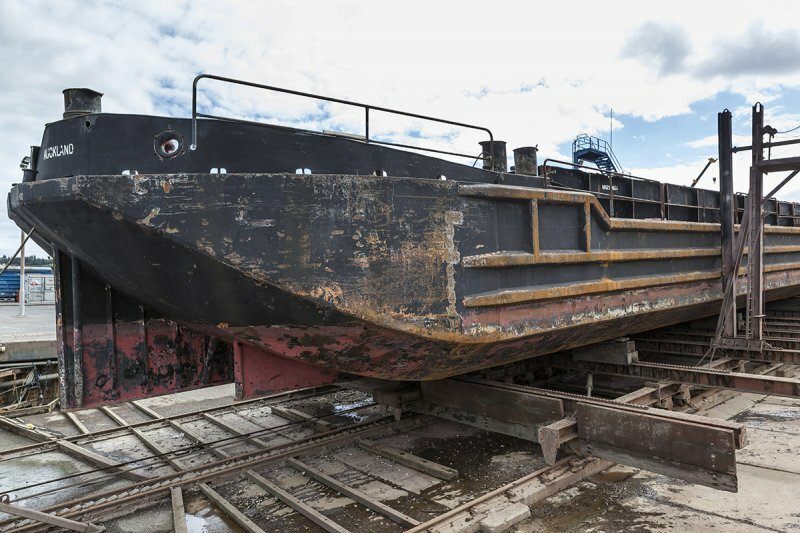 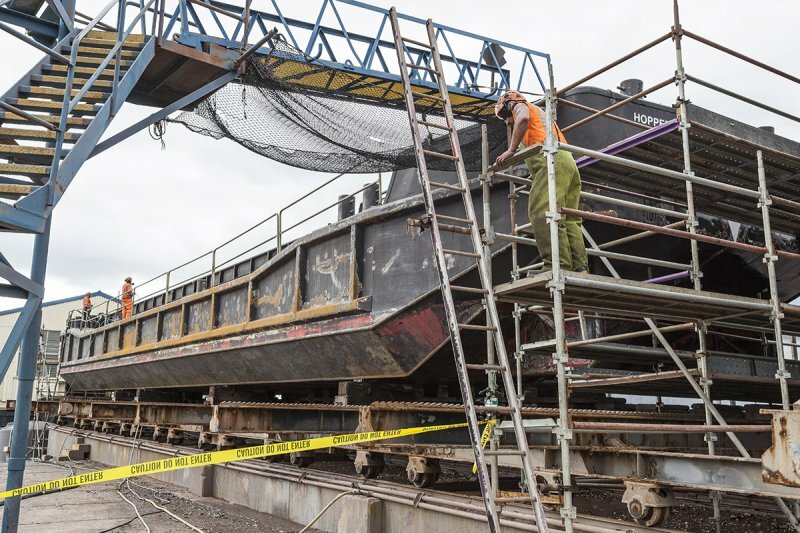 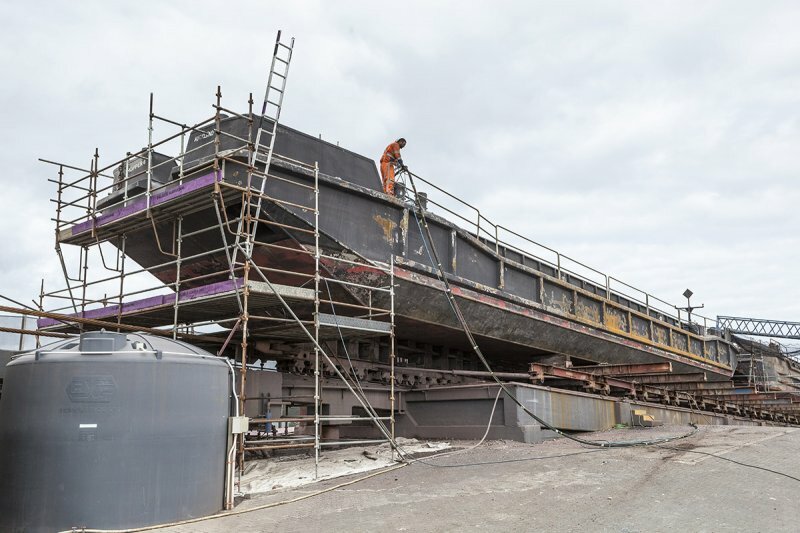 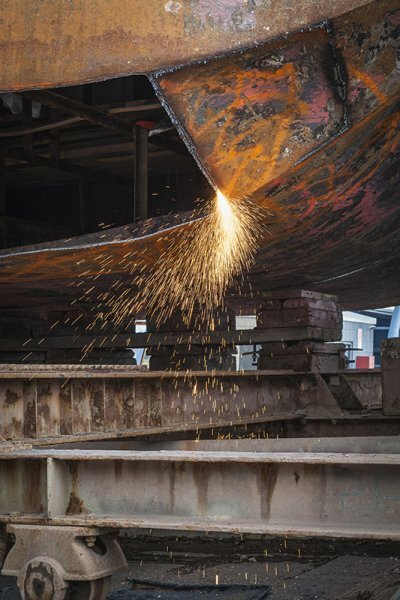 Once those minor structural repairs had been taken care of, Ship Repair gave the barges a full sandblast and paint of both entire vessels, getting them back to looking good as new once more.